In memory of Leia, who fought to stay with her mom for five months and my many miscarried babies, I looked for some freebies that might bring you comfort if you have lost a baby thru miscarriage, stillbirth, or infancy. 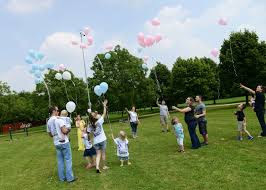 ♥ The Official Site of Pregnancy and Infant Loss Remembrance Day - created to provide support, education, resources, and awareness. ♥ Free Coloring Page - A meaningful project for couples going through infant loss and miscarriage. They are creating an adult coloring book specifically for parents going through this difficult time. ♥ Teeny Tears - Providing tiny flannel diapers at no charge to hospitals and bereavement support organizations for families that have suffered the loss of a preemie or micropreemie child through stillbirth or NICU loss. ♥ Minimize Regrets and Maximize Memories - here are ideas to consider when meeting and when remembering precious babies. ♥ Little Love Foundation – Provides keepsake clothing and miscarriage care packages for bereaved parents of baby loss. ♥ Joy Bundles - filled with a baby hat, tokens of remembrance (this may include puzzle piece, stuffed animal, etc. ), and brochures. Provided free of charge to bereaved moms and dads. ♥ Ashley's Angel - Blankets, hearts, and memory envelopes all handmade. They are given at no charge to bereaved families of baby loss. ♥ The Smallest Gift - Sometimes Love Lasts a Moment, Sometimes Love Lasts a Lifetime, Sometimes a Moment is a Lifetime. Through the loss of our own infants we reach out to other families and provide a blanket and weighted heart. We also supply local hospitals with comfort gifts to be given to families after a loss. ♥ 3D Foot/Hand Casting Instructions - Parents appreciate anything we can give them, and I have been told that these casts really validate their child’s existence. It gives them something precious and tangible to hold. It is proof that they were here. ♥ The BabyAngelPics Project has been created to donate photo retouching resources to the parents and families of a stillborn baby. Photographs of still-borns and newborns who don't make it home from the hospital are sometimes very difficult to look at, and are usually the only image that the parents have of their child. Through this free service, skilled digital artists work with a digital copy of your original, eliminating medical equipment, removing unsightly marks and even replacing the background if desired. Mothers can scan their photos and upload them or have a participating retail partner scan them and upload them. ♥ We Need Not Walk Alone - The national magazine of The Compassionate Friends, We Need Not Walk Alone, has been described as a support group in print, featuring articles by and for parents, siblings, and grandparents who are grieving the death of a child in their family. Receive a subscription to We Need Not Walk Alone online FREE just by subscribing. ♥ In Memory of ... - cherish, tribute and honour those you have lost. 100% free, supported by donations. Create an online memory, publish a photo memory book. ♥ Dear Mom of a Baby in Heaven free e-copy of Dear Mom of a Baby in Heaven. ♥ Free Professional Consultations - To provide individuals and families with immediate information, perspective and comfort for the acute trauma of pregnancy/infant loss. ♥ Funeral Assistance Programs - The TEARS Foundation pays for current infant funeral expenses and unexpected child funeral expenses. ♥ Certificate of Acknowledgement for the Brief Life of ... - printable form. ♥ Comforting e-cards for baby loss. ♥ Open to Hope - a non-profit foundation with the mission of helping people find hope after loss. They invite you to read, listen and share your stories of hope and compassion. ♥ Now I Lay Me Down to Sleep - providing the gift of remembrance photography for parents suffering the loss of a baby. They have a network of private photographers in communities around the country who will take beautiful pictures of families and babies when a baby dies at no cost to the family. ♥ Tear Soup Cooking Tips - a recipe for healing after loss. This is your grief — no one else's. Your friends can't feel your loss in the same way. It will not affect their life the way it affects yours. More free downloads from GriefWatch. ♥ Past issues of Sharing Magazine - Share's mission is to serve those whose lives are touched by the tragic death of a baby through pregnancy loss, stillbirth or in the first few months of life. 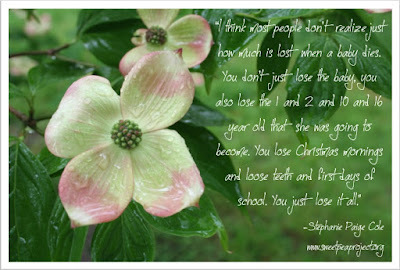 ♥ Heaven Notes - Write a note to your child. IRIS will collect these letters throughout the year and then the ashes from these letters will be scattered at Kinder Park (IRIS Park) during the balloon release which is held the first Sunday in October. ♥ Ice Luminaries - Creating beautiful ice luminaries with flowers, greens, and toys is easy and offers breathtaking results. A frozen luminary can brighten a grave site as well as a sidewalk or path. ♥ Free Certificates Of Life - Here are some free Certificates Of Life for printing out to remember your angel baby. ♥ Certificate of Still Birth - The New York State Certificate of Still Birth law became effective on March 21, 2012. Parents of a stillborn child can apply for their child's BIRTH certificate, regardless of what year the stillbirth took place. Legislation is being passed in individual states allowing parents the option of receiving a certificate to acknowledge the birth of their stillborn child. Unfortunately, not all states offer a certificate when a child is stillborn. To check the state list, please visit the Miss Foundation. ♥ Held Your Whole Life - free keepsake necklaces or keychains to bereaved families experiencing the loss of a baby in utero. Their mission is to acknowledge life and recognize babies born in silence. The keepsakes have your baby's beautiful name on it and are stamped with the phrase Held Your Whole Life. Limited Offer: They only take requests at the beginning of each month. ♥ Bridget's Cradles™ - a nonprofit organization incorporated in the state of Kansas. The mission of Bridget's Cradles™ is to provide hospitals with knitted and crocheted cradles to hold babies who were born into Heaven in the second trimester of pregnancy. ♥ Ways to Honor Your Baby in Heaven - Every family grieves differently. These are ideas for those looking for ways to memorialize their baby, it is not meant to be an all-inclusive checklist of the things you should be doing. ♥ No Footprint Too Small - Request a care package for yourself or someone you know who has experienced pregnancy or infant loss. Our care packages are put together to cater to the unique make up of each family as well as to cater to each unique type of loss in hopes that it may provide the most beneficial information and sense of comfort. ♥ Little Love Foundation - If your hospital did not have care packages for you, please take a minute to fill out the form below. Help us bring care packages to more families in need. We do not want any family to have to worry about finding a way to dress their tiny baby at such a heartbreaking time. ♥ Later Pregnancy Loss/Infant Loss - we hope that by providing these resources we can offer support and comfort in the coming years. ♥ Care package and gift ideas for a friend after miscarriage - The following are a few ideas to help you put together a gift or care package for your bereaved friend. ♥ Care Packs for Miscarried Babies - We think it is absolutely necessary that every woman who experiences the death of her baby in hospital is given the love and care that she deserves. ♥ Sweet Pea Project - The Sweet Pea Project collects blankets to donate to hospitals and birthing centers. The blankets are lovingly wrapped around these precious babies and then given to the parents to keep. ♥ Born in Silence video - Approximately 3 million babies are stillborn each year throughout the world. In the US, that's one baby, one family, every 21 minutes. To learn more, and to contribute your own message of encouragement or understanding, please visit Facebook.com/healthybirths. ♥ Angel Names Association - dedicated to assisting U.S. families of stillborn children (20 weeks+ gestation) through programs designed to provide financial assistance for end-of-life expenses and counseling services. ♥ Healing Hearts Care Package - Full of resources to bring hope and healing to your grieving heart. Everything is hand picked specially for the person receiving it. A special book, journal, and treats are just some of the unique items they have. Plus, Birth Day Bear - stuffed bears weighted to the exact weight of the baby you have lost. We have found just holding onto these keepsake bears provides a surrogate which helps mothers and fathers start the journey toward healing. ♥ Healing From the Start manual - to support/empower the nursing and medical communities to better take care of newly bereaved parents. And even though emotions are high, by using the suggestions in this manual, staff can feel confident what they are offering their patients will be authentic, supportive, compassionate care that will not only benefit their patients, but will benefit the medical staff as well. ♥ Mary Madeline Project - a non-profit organization donating infant / baby burial gowns and blankets to hospitals for bereaving parents. Women donate their cherished wedding gowns to the project and volunteers give of their time, talents and love by making the baby burial gowns and blankets. The Mail Preference Service - designed to assist those consumers in decreasing the amount of national non-profit or commercial mail they receive at home. This will not stop every call or mailing, but it will catch the bulk. It may take several weeks to take effect. I hope this helps you and brings you some small comfort.